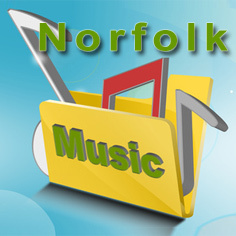 Norfolk has a thriving music scene and so this is the opportunity to shop for the next big thing or established artists from singer/songwriters to bands, Norfolk certainly has talent in ambundance. Norfolk Heroes is a collection of songs about Norfolk people and places. The Song Factory is Norfolk's smallest but probably its best music producer. Our most popular album is Norfolk Heroes which is full of true stories about Norfolk people and places.